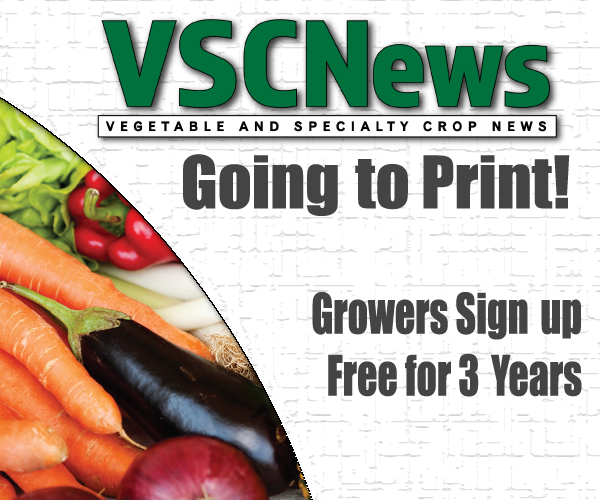 Most vegetable and strawberry crops in Florida are grown on raised, fumigated soil beds covered with plastic mulch and fertigated with drip tape. Fortunately, the plastic mulch suppresses most weeds that would otherwise grow rapidly and outcompete the crops in Florida’s warm subtropical climate. The open holes that are punched into the plastic during transplanting of the vegetable or strawberry crop also provide access for some weeds to grow beside the transplants. The proximity of these weeds to the crop plants makes them particularly detrimental due to interplant competition for light, water and nutrients. Figure 1. An overhead view of a plasticulture vegetable bed shows nutsedge weeds emerging through the plastic. Nutsedge weeds (both purple and yellow types) are uniquely capable of growing under the plastic mulch and piercing holes through the material with their pointed shoots. Once the nutsedge weeds have pierced the protective plastic, they grow uninhibited and can rapidly overrun vegetable or strawberry beds (Figure 1). Both the weeds emerging through planting holes and the nutsedges were traditionally controlled with methyl bromide fumigation when it was still available. Recent remedies, including new fumigants and pre-emergent (PRE) herbicides that are sprayed onto the formed beds just prior to laying the plastic mulch, have proved less successful (Figure 1). Benefits of precision spraying include combining the spraying operation with hole punching and reducing PRE herbicide use by about 90 percent compared with broadcast-spray applications. Additionally, spraying PRE herbicide on or near the transplant date increases the weed control duration for subsequently germinating weeds. 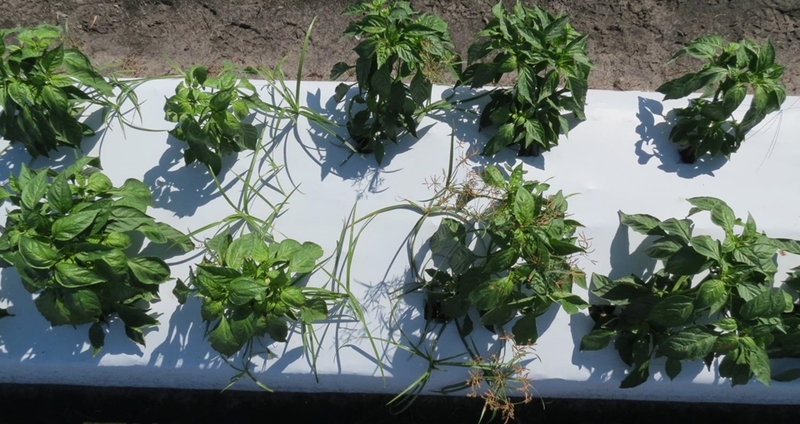 The problem of nutsedge weeds growing through the plastic mulch requires a different approach: using properly timed selective post-emergent (POST) herbicide sprays that are safe for the crop. Since nutsedge weeds grow in non-uniform patches over fields, a precision POST spraying solution is required that can identify and spot-spray only the weeds where they occur. Figure 2. Nutsedge weeds in a bell pepper bed are identified by machine vision for smart spraying of herbicide. At the CREC, artificial intelligence (AI) research is focusing on developing effective machine vision for autonomous robotic scouting platforms used in citrus under protective screen groves. The deep learning artificial neural networks used in machine learning and vision for scouting citrus were also perfectly suited for accurately detecting the nutsedge weeds in plasticulture (Figure 2). In 2018, a second prototype smart sprayer equipped with machine vision was developed to selectively control nutsedge weeds in plasticulture vegetable crops by spot-spraying them with POST herbicide. The sprayer uses two independently actuated electric solenoid valves to dispense herbicide sprays as required through two nozzles positioned over each half of the crop bed. 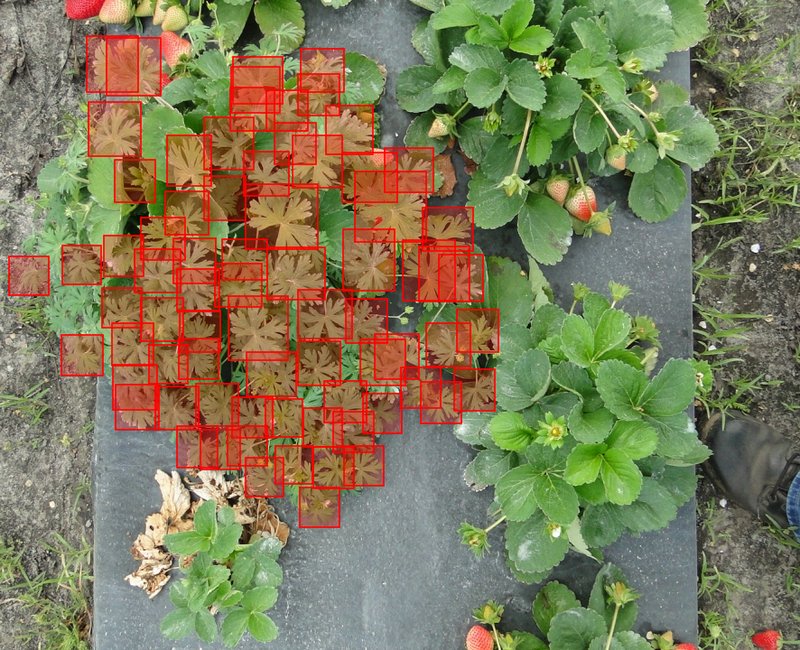 Subsequently, we developed more machine vision solutions to identify other weeds such as Carolina geranium (CG), which is a strongly competitive weed that emerges through the planting holes next to strawberry transplants (Figure 3). The ability to correctly identify a green broadleaf weed (CG) intertwined with a green broadleaf strawberry plant is testimony to the power of AI-based machine vision to address many related situations in agriculture, including smart spraying for crop disease and pest control. As with the hole-punch sprayer, the ability of the machine vision-based sprayer to only spray small targeted areas of the field as needed greatly reduces the amounts of agrochemical required. Figure 3. Carolina geranium weeds in a strawberry bed are identified by machine vision for smart spraying of herbicide. Thanks to the recent development of accurate deep learning artificial neural networks and more powerful computer platforms, smart sprayer technology received a major performance boost. With these new tools, precision herbicide sprayers are now being developed for Florida vegetable and strawberry crops. Research to develop smart sprayers for other pest and disease applications of Florida crops will likely follow a similar path. Acknowledgements: Funding for this research was provided by a Florida Department of Agriculture and Consumer Services Specialty Crop Block Grant and the Florida Strawberry Research and Education Foundation. Arnold W. Schumann (schumaw@ufl.edu) is a professor at the UF/IFAS CREC in Lake Alfred. Nathan Boyd (nsboyd@ufl.edu) is an associate professor and Shaun Sharpe (sharpes@ufl.edu) and Jialin Yu (jialinyu@ufl.edu) are postdoctoral associates, all at the UF/IFAS GCREC in Wimauma.